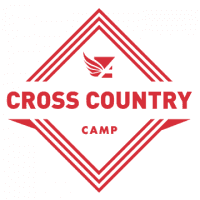 Middle school and high school runners are invited to join Atlanta Track Club for Atlanta Track Club Cross Country Camp at Young Harris College. This week-long overnight camp developed by Amy and Andrew Begley, will be led by Atlanta Track Club Coaching staff with members of Atlanta Track Club Elite and collegiate runners as camp counselors. Runners will learn about a wide range of running-related topics including nutrition, training, running form, and proper footwear from a number of special guest speakers. Participants will enjoy daily runs in Chattahoochee and Nantahala National Forests and the Young Harris College trails. Lodging will be in the Young Harris College dormitories. Participants should have some experience with distance running and be excited to learn more about the sport. Open to runners entering grades 7-12 (limited to 125 participants). Runners should expect to run 3 miles each day, with opportunity for experienced runners to run longer. Discounts are available for returning 2018 campers, siblings, and groups (7 or more athletes). Contact [email protected] for more information. Young Harris, Georgia is located in the southern Appalachian Mountains, ideally situated between the Chattahoochee, Cherokee and Nantahala National Forests, and a scenic two-hour drive from Atlanta, Georgia and Chattanooga, Tennessee. Registration is not complete until the Georgia Pre-participation Physical Evaluation Form is completed by a physician and submitted to [email protected] by 7/10/19? Campers will be assigned to a run group based on their experience level submitted in registration. Each day will include a morning run and an optional afternoon run on campus. Daily mileage will vary for each run group beginning at 3 miles. No runs will exceed 6 miles, campers wishing to run more than 6 miles should plan to join the afternoon run for additional mileage. Camp counselors will lead run groups. Each day campers will particpate in skills and drills clinics and hands on topic presentations with guest speakers. These sessions will provide hands on experience that campers can immediately put into practice and applied to their workouts building more educated runners. All week long, campers will be competing as a team in different games, team-building challenges, and more. Campers on the winning team of the week will receive an Atlanta Track Club prize pack.